It is difficult to diagnose a sudden PC restart problem, because when it restarts, there is no error message that explains why. Here are a list of complications that can cause a PC to unexpectedly restart to help you narrow down possible solutions. In most cases, the sudden restart of a PC is due to disabled RAM modules. Generic memory modules have particularly small defects that can prevent the PC from working properly. To fix this, you need to examine the memory with the Memtest RAM tester. Memtest results are easy to analyze: if the home screen keeps the same table after at least one full pass, you can assume that the memory is in good condition; if additional lines appear, the memory is defective. N.B. If your motherboard can handle it, you may be interested in purchasing two modules so that you can take advantage of your PC's Dual Channel mode. To do so, you have to use two identical modules (of the same brand) that are of good quality. If you are dealing with a hardware conflict, you should begin by trying to update the computer drivers. You can download the latest versions at the manufacturers' pages or in CCM's the driver downloads section. If that does not work, you may need to restart your PC using as few peripherals as possible. Disconnect all CD drives, recorders, Internet modems, printers, complementary hard drive disks, etc. Continue manually restarting your device until it no longer restarts alone. When the rebooting stops, reconnect the peripherals one at a time until the problem happens again. To be sure that your issue is not the result of an overheated CPU. Check your processor's temperature using either the Everest program or your motherboard's utility. If it's too high, you will need to install a more powerful fan. If necessary, it would be a good idea to remove the dust that is in the casing using an air pump, for example. This will not only considerably reduce the noise made by the PC, but it will also occasionally be able to decrease the ambient temperature of the PC and, therefore, of the processor. In the case of a faulty power supply, the solution is to switch power sources to one that is more powerful. You may need to have your device examined by a professional. The restarting may also be due to an interference from your utility company's electricity grid. You can ask your utility company to come and check the power grid. Installing an uninterruptible power supply (stabilizer) will solve this problem. If the problem began just after you installed a specific software or driver, this may be causing your PC to restart. To solve the issue, you simply need to delete the software or update the driver responsible. Do a complete review of the computer, including the motherboard, processor, graphic cards, sound card, etc. A technician can also do this for you, examining the equipment by switching out each component one by one. Check that the memory frequency is correct and that the latency time is according to the factory settings. You can also do a BIOS update, by going to the motherboard manufacturer's website. Don't forget to back up your current BIOS to an external media. N.B. Be careful because a power failure during BIOS update could prove fatal to your PC. Viruses are among the main causes of a PC that unexpectedly restarts on its own. There are several types of viruses that lead to this issue, but a good virus remover should solve it with little inconvenience. Windows computers give you the ability to enable to automatic restarting of your computer. If this is what has been causing your issue, you can simply disable it. Go to the Start menu > Control Panel > Performance and Maintenance > System. Alternatively, you can right-click My Computer and select Properties. Click Advanced > Start and Recovery > Settings. Uncheck the box next to Automatic restart. N.B. 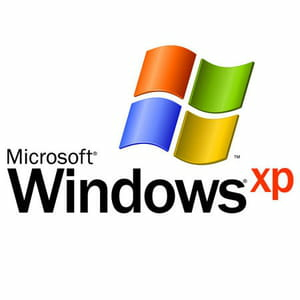 For Windows XP computers, the process differs. Click the Start button > Run.... Type shutdown -a, then click OK. Published by MelissaCCM. Latest update on March 20, 2018 at 04:39 AM by Jean-François Pillou. This document, titled "How To Fix a Computer that Unexpectedly Restarts on Its Own," is available under the Creative Commons license. Any copy, reuse, or modification of the content should be sufficiently credited to CCM (https://ccm.net/).